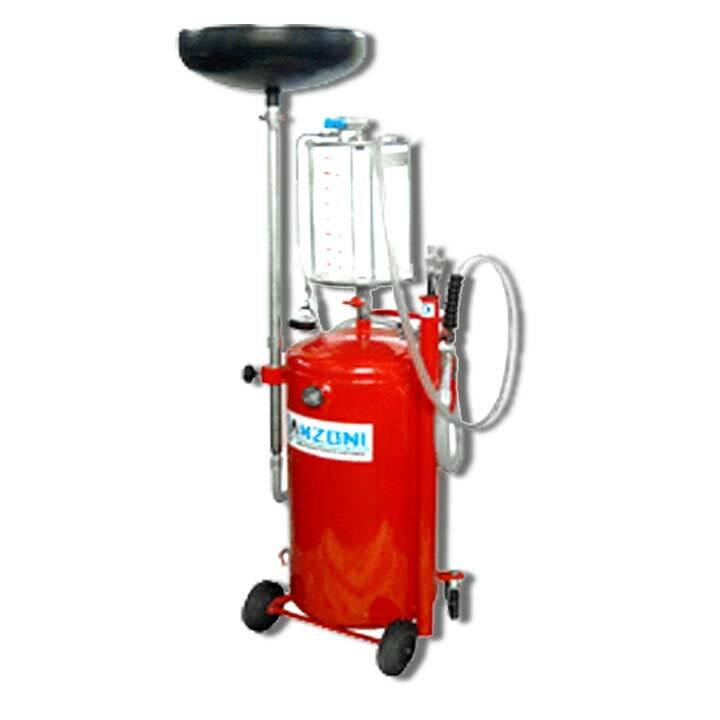 75 Lt. wheeled oil drain-suction unit with an 8 lt., transparent pre-chamber. The waste oil recovery aspirator is supplied with a transparent inspection tank capacity 8 lt., which allows for controlling and checking of the quantity of drained oil. The basin, with a capacity of 12 lt., has a variable height and is fitted with a jet breaker for the subsituted filters.